Thomas, a young German baker, is having an affair with Oren, an Israeli married man who has frequent business visits in Berlin. When Oren dies in a car crash in Israel, Thomas travels to Jerusalem seeking for answers regarding his death. 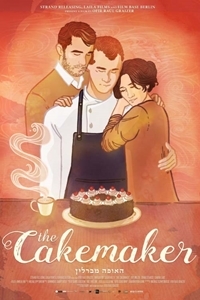 Under a fabricated identity, Thomas infiltrates into the life of Anat, his lover's newly widowed wife, who owns a small Café in downtown Jerusalem. Thomas starts to work for her and create German cakes and cookies that bring life into her Café. Thomas finds himself involved in Anat's life in a way far beyond his anticipation, and to protect the truth he will stretch his lie to a point of no return.